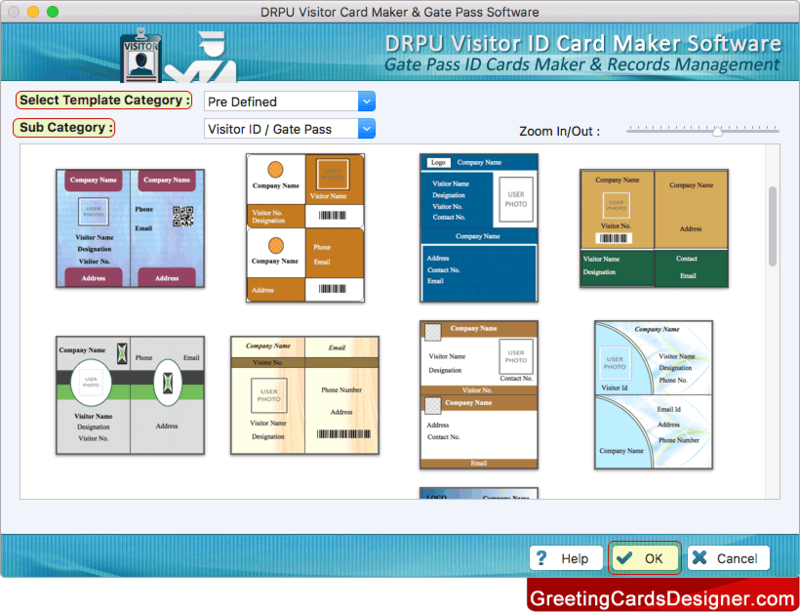 Choose any pre-defined template to start designing visitor ID Card. Click 'OK' button. 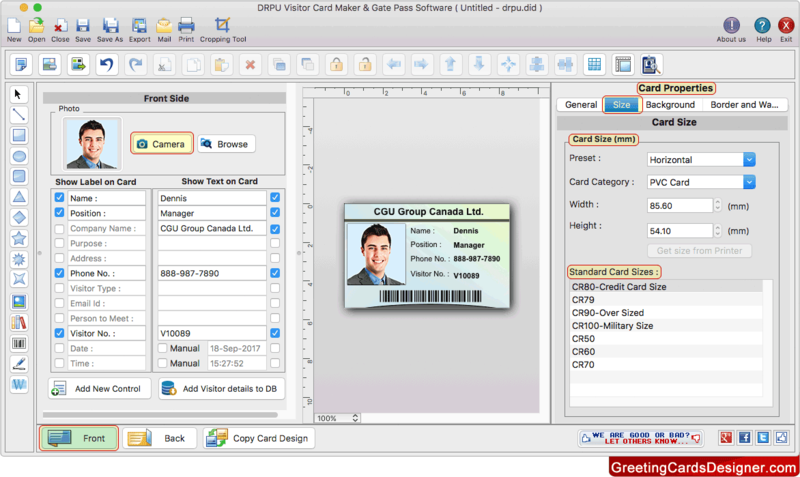 Add visitor details on your ID Card. To add photo of visitor on ID card, browse photo or you can also capture photo of visitor using Camera Settings. 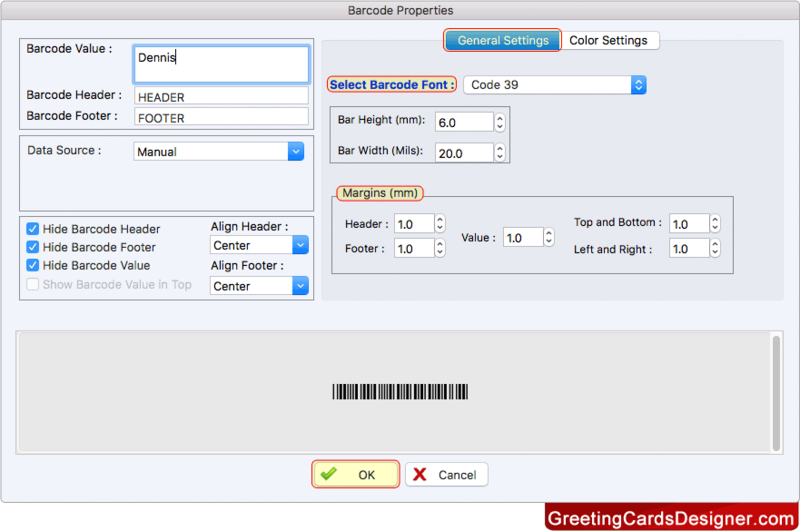 Add Barcode on your ID card using barcode properties. 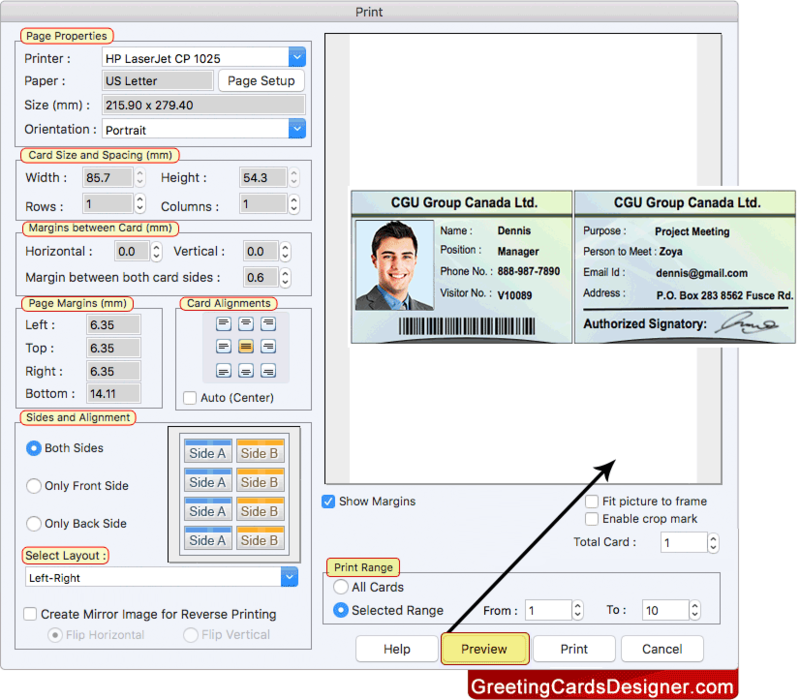 To Print designed visitor ID Card, fill all printing details and click on print button. You can also view preview of designed ID card before printing.